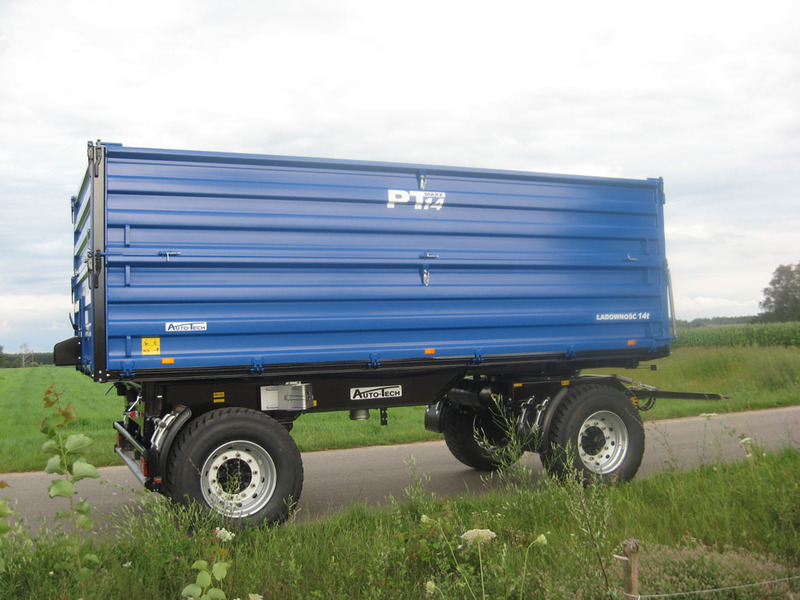 Side trailers from PT MAXX series of Auto-Tech company are created and made in mind of work comfort and strength of constructions which work in a difficult terms. 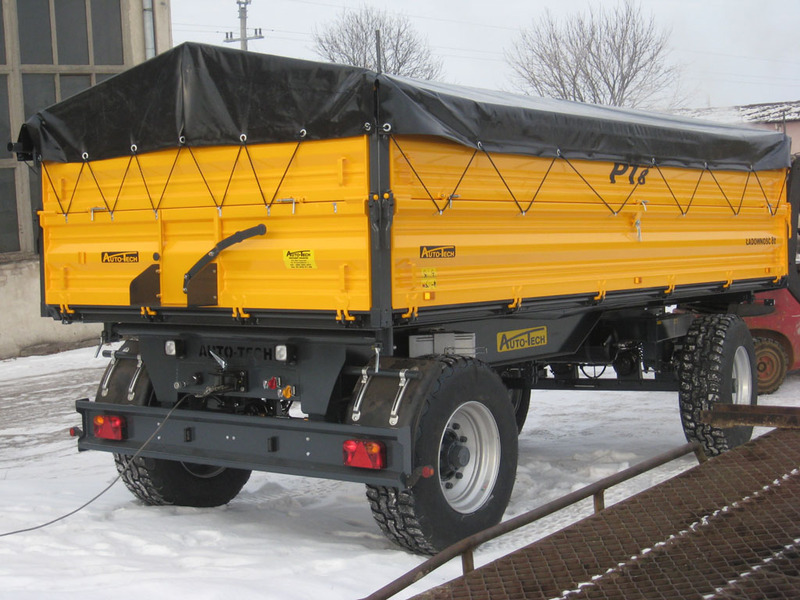 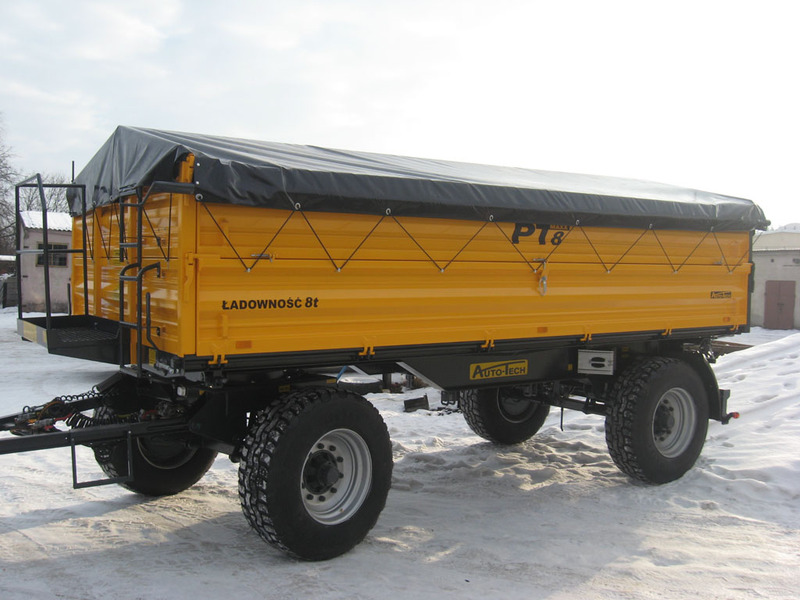 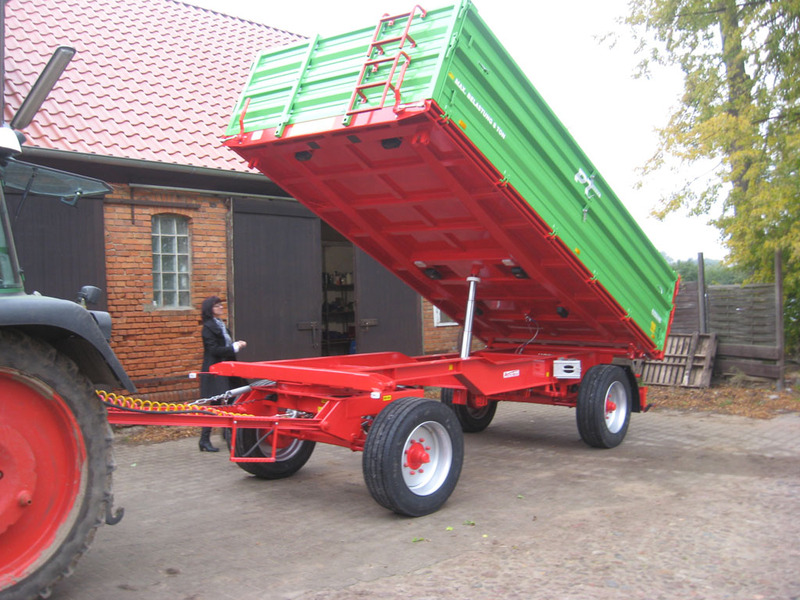 We apply best materials and components used to produce trailers as: leading spindles of BPW, side profile of Fuhrmann. 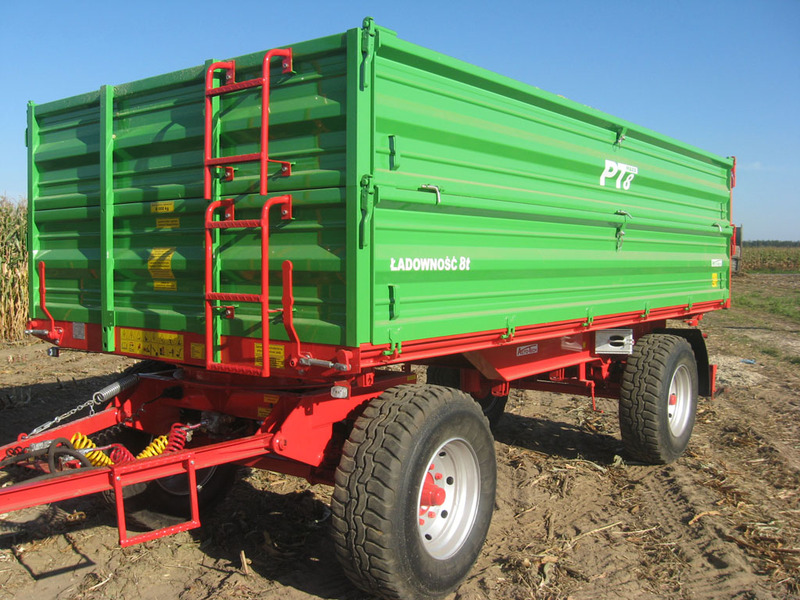 Frame is made from height durability constructional steel to ensure optimal weight of trailer to frame strength. 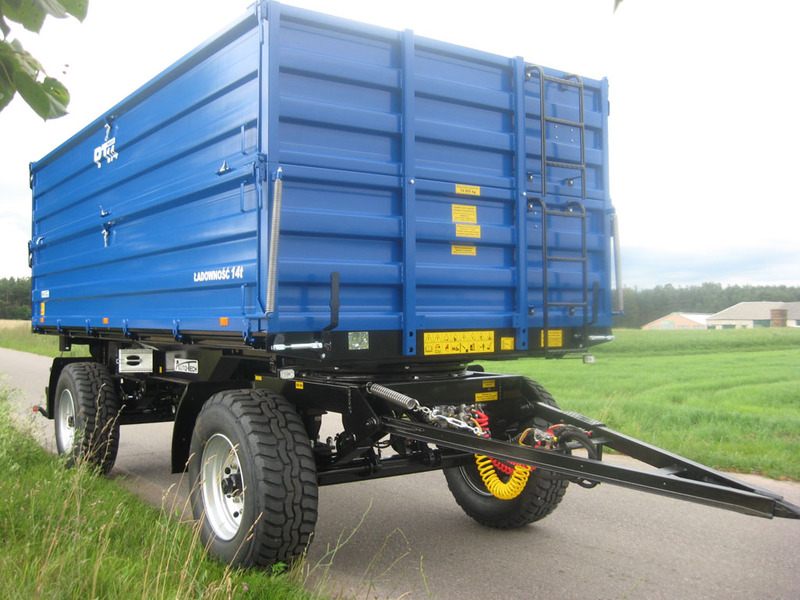 Frame carrying capacity is checked in terms of optimal trailer’s work and also by computer calculative program – MSC Nastran (method of complete elements). 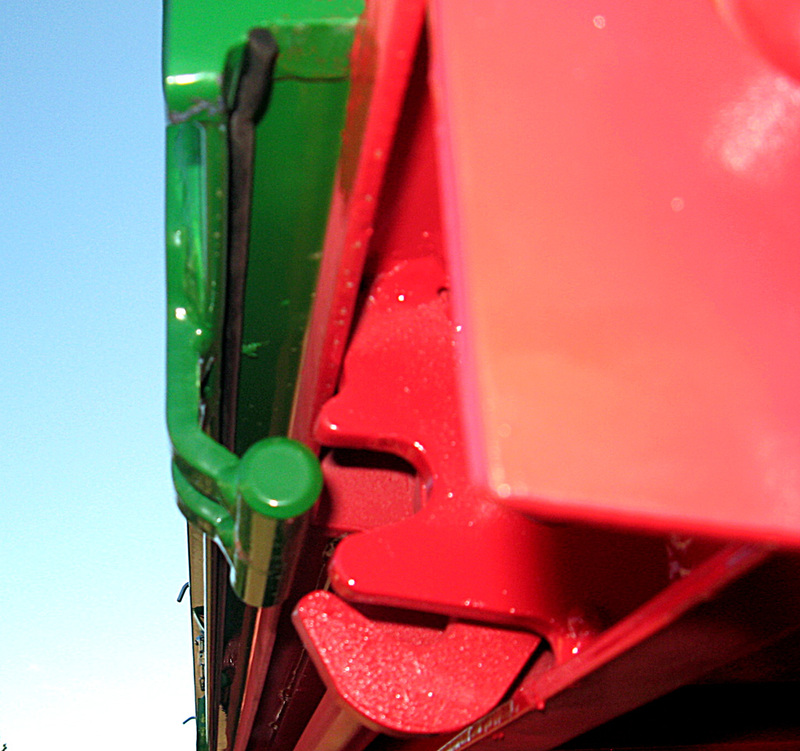 This program researches every constructions elements. 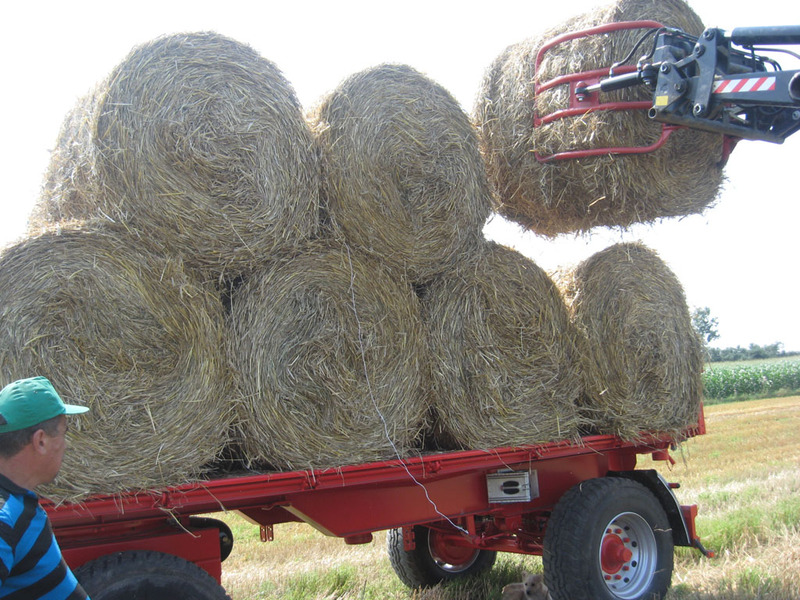 In our case it researches trailer’s frame her static and dynamic strength, buckling and vibrations. 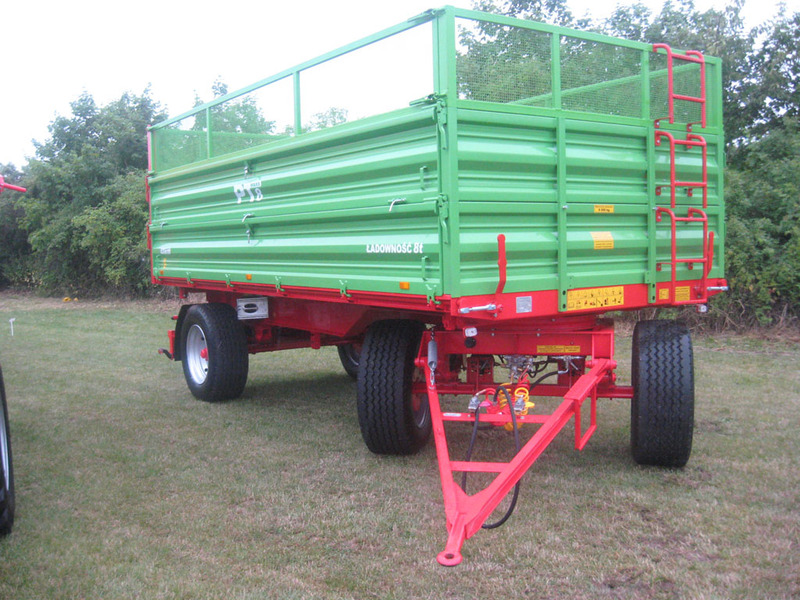 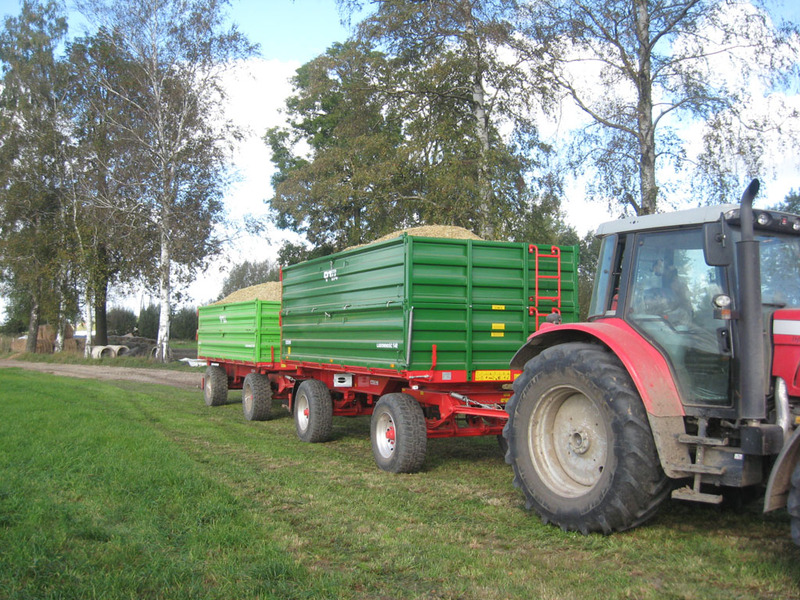 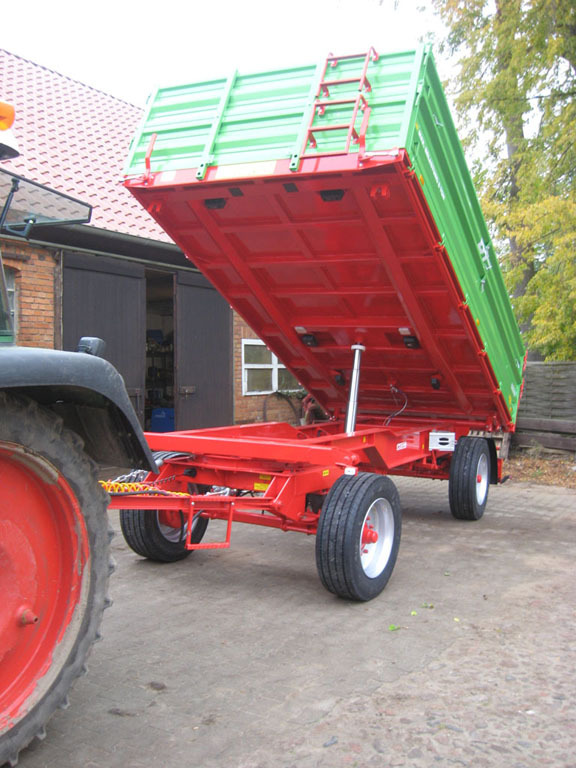 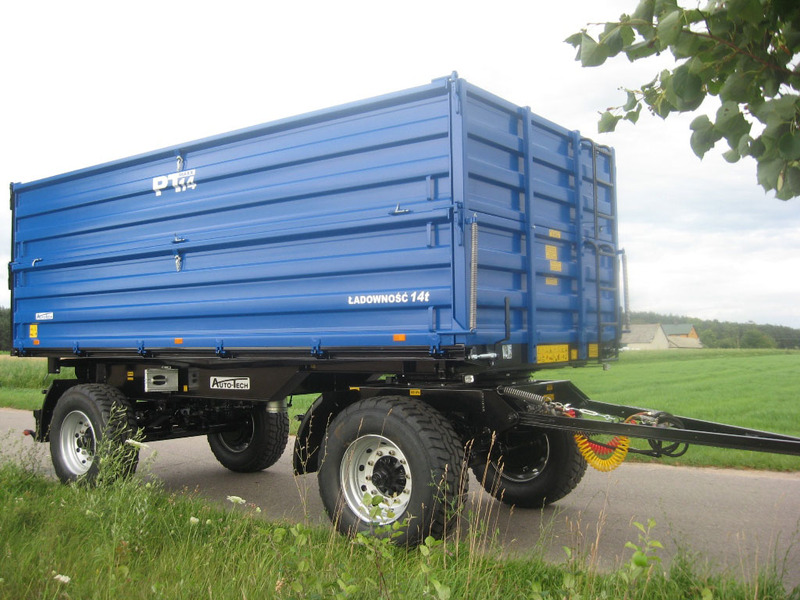 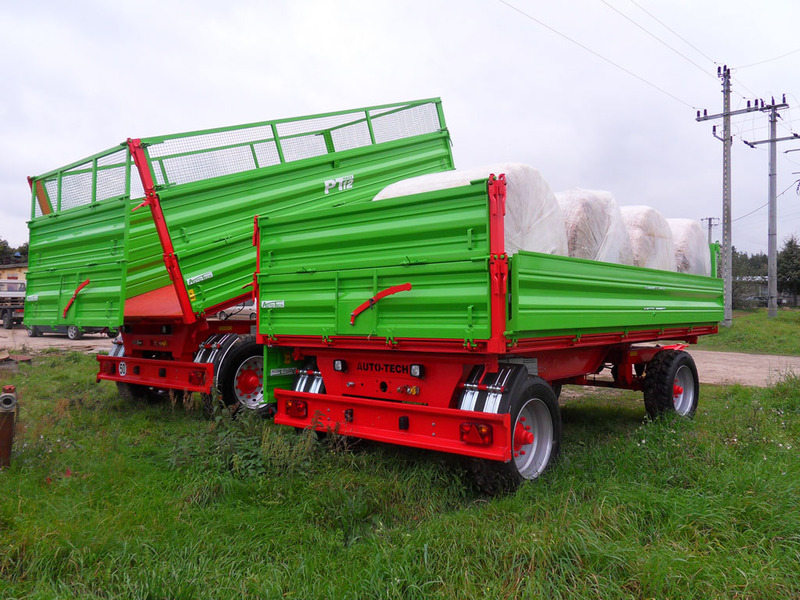 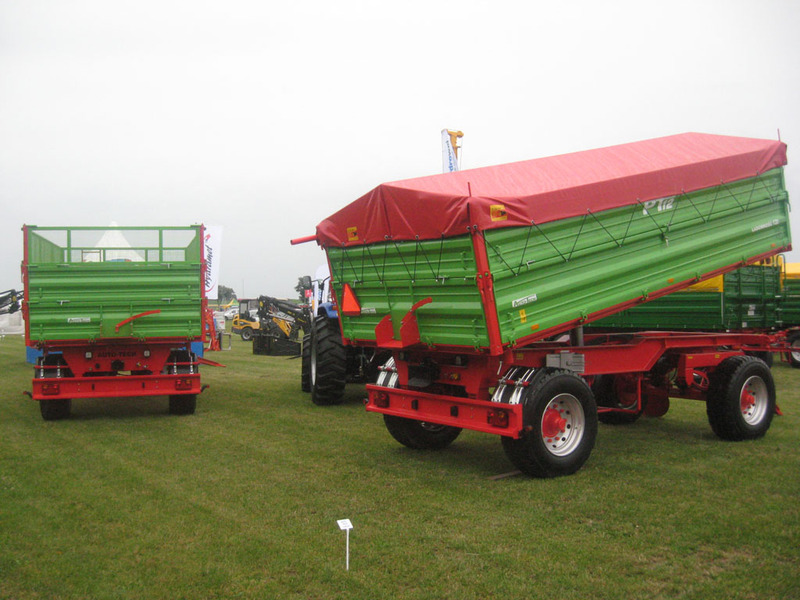 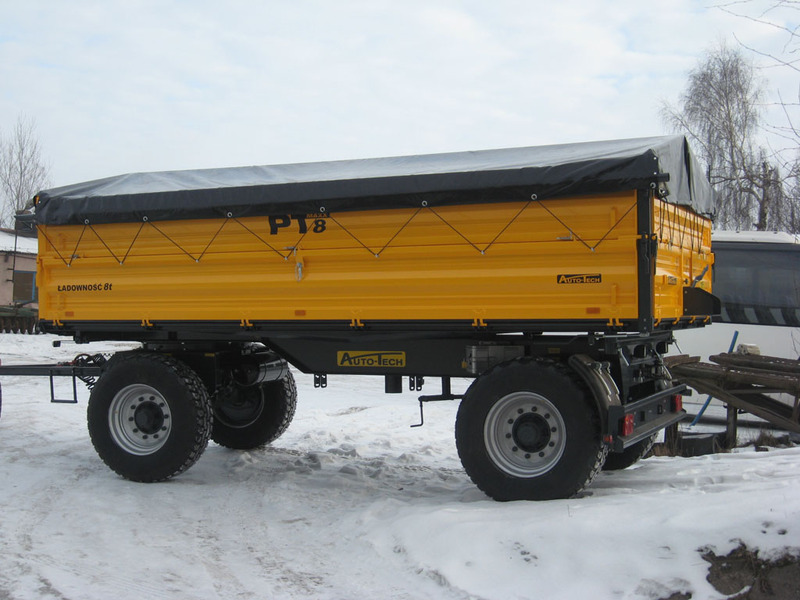 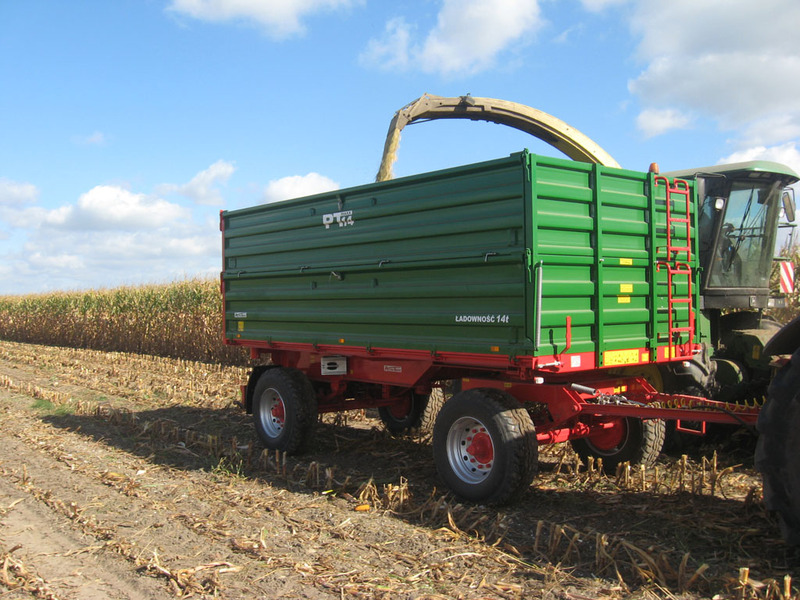 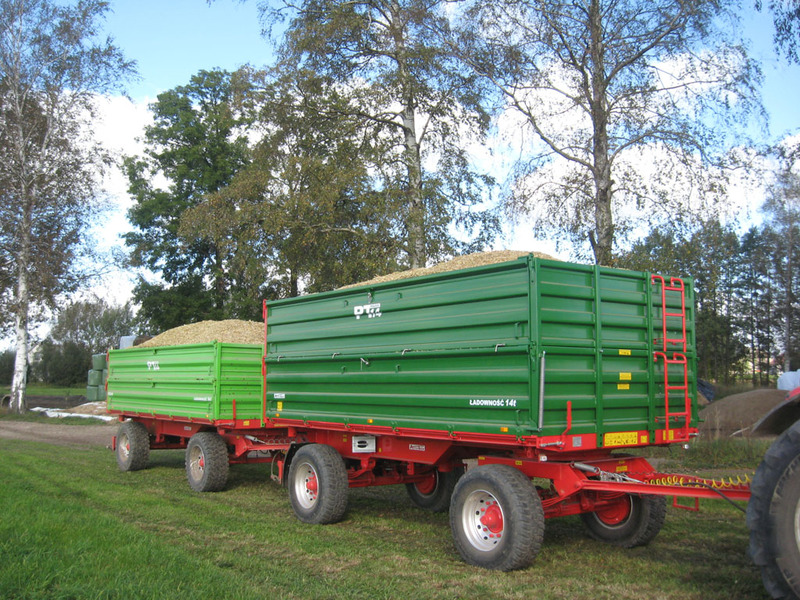 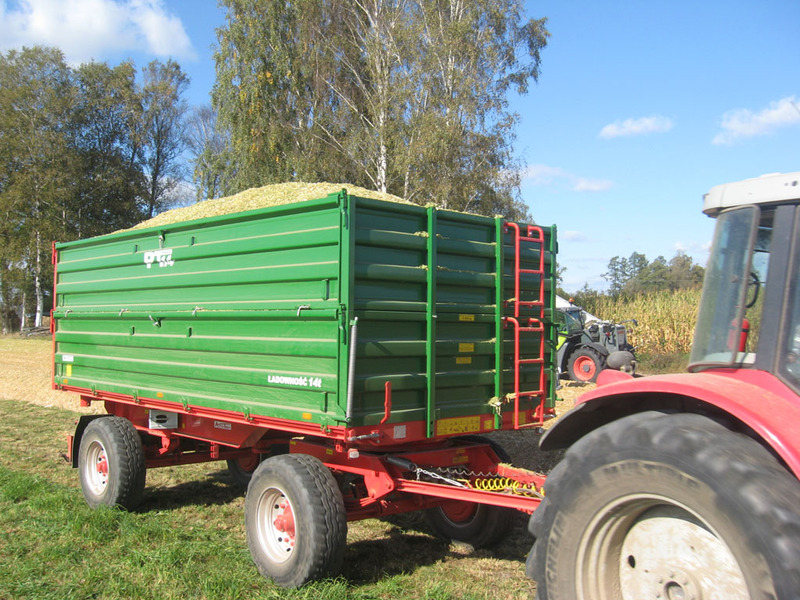 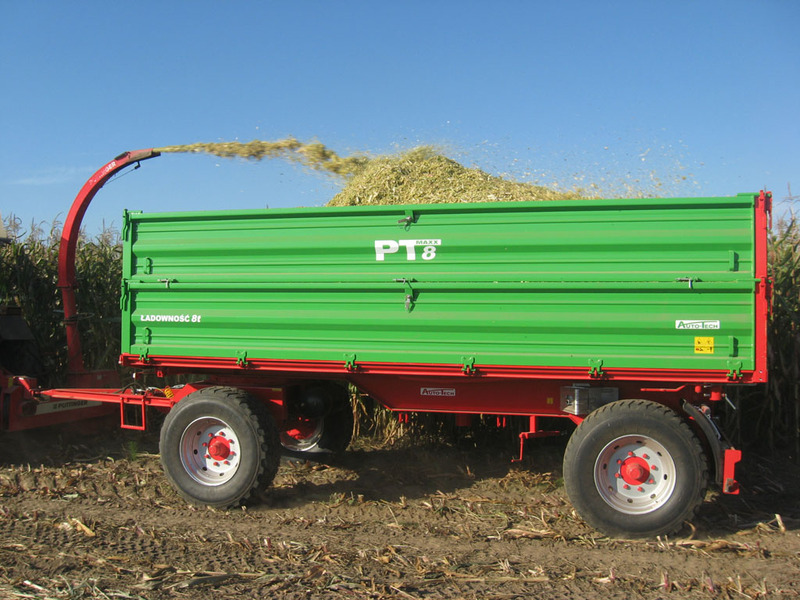 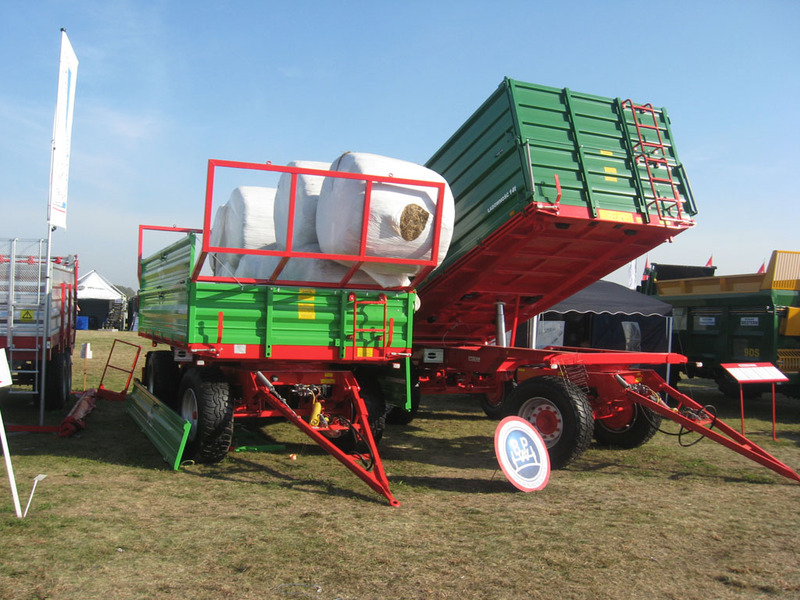 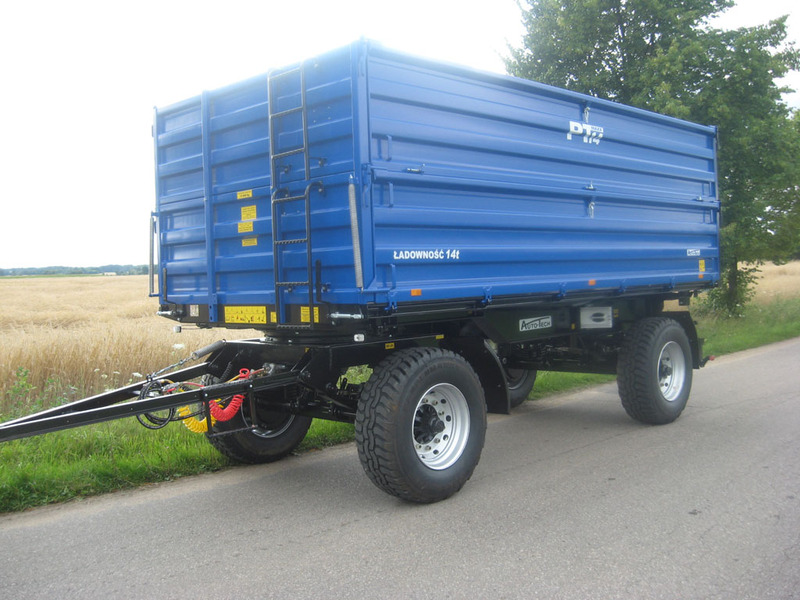 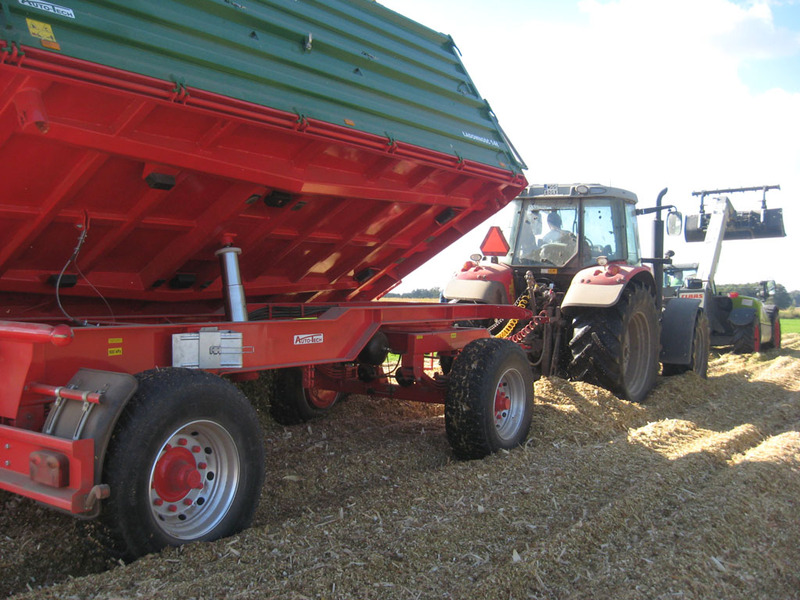 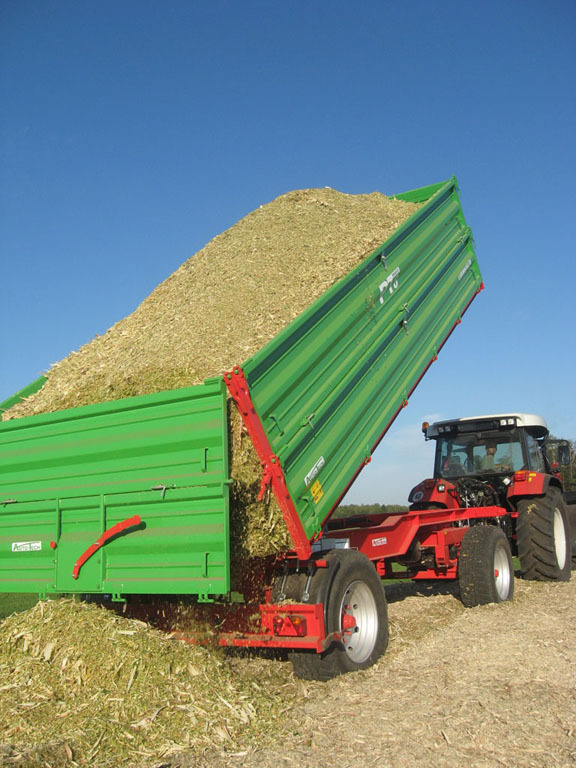 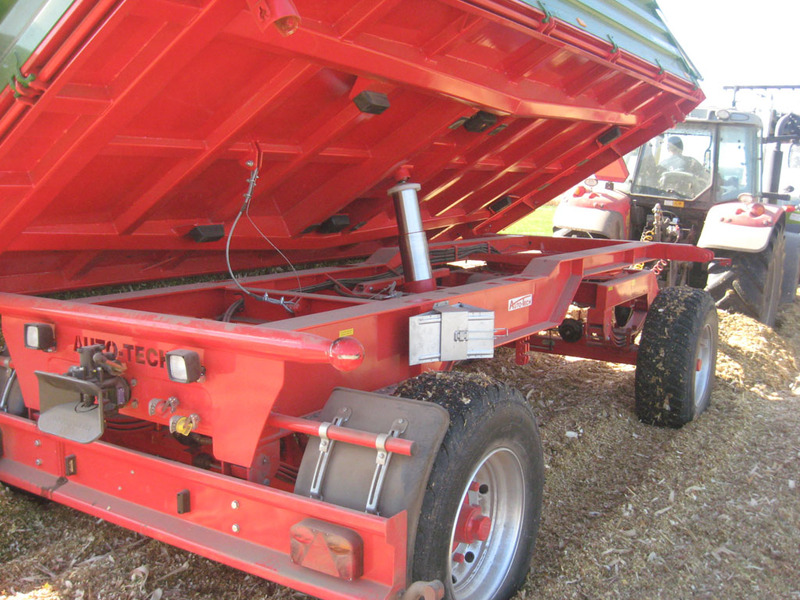 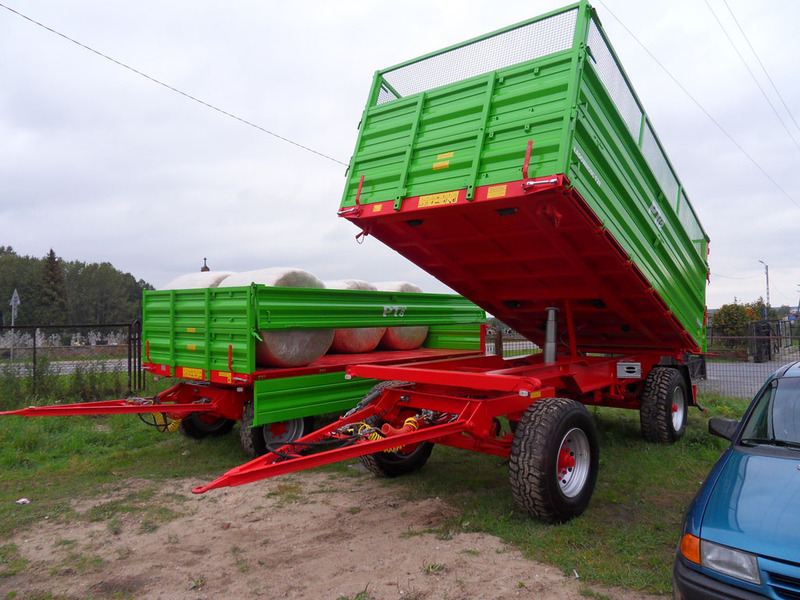 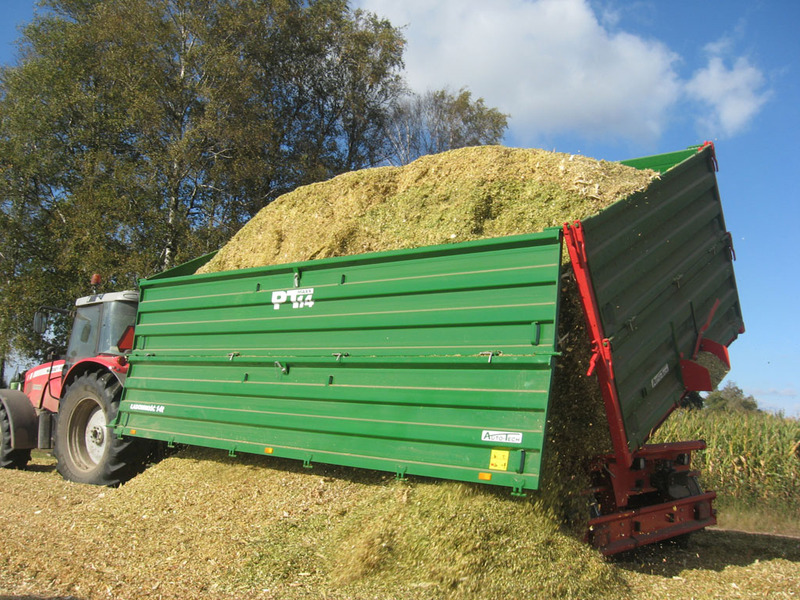 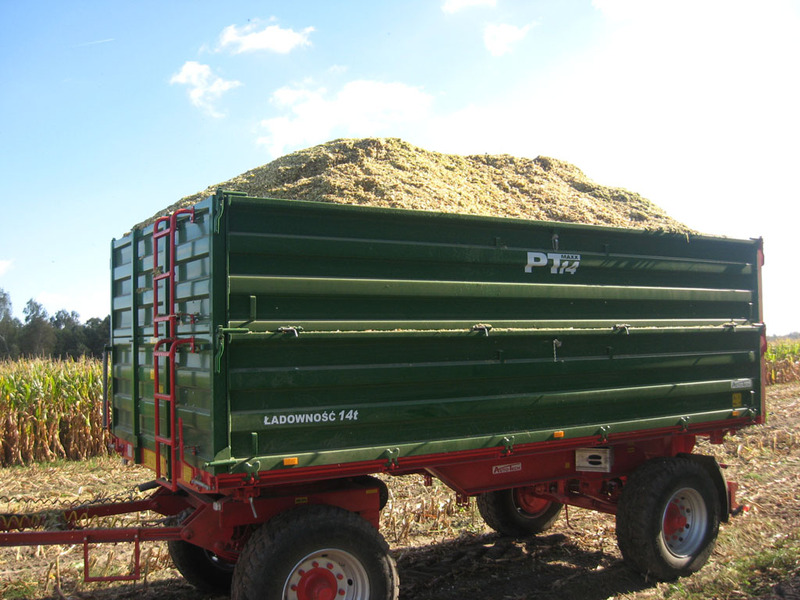 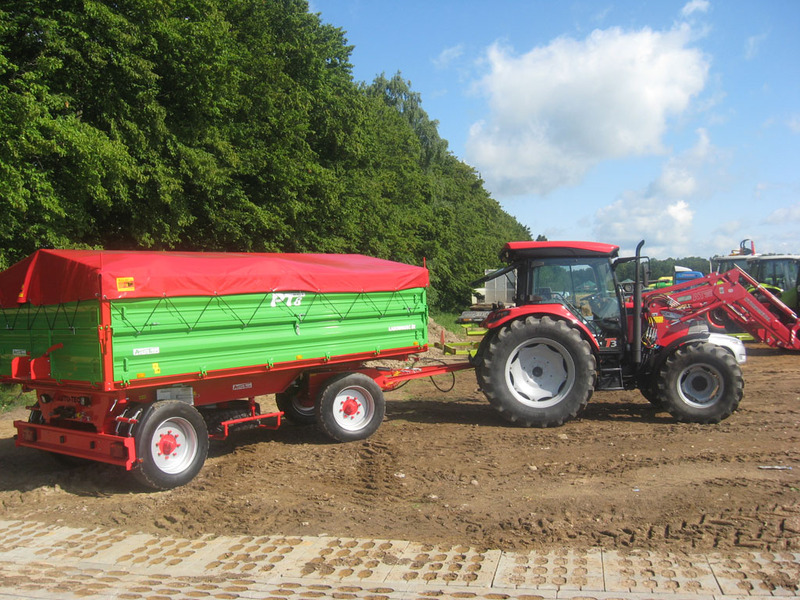 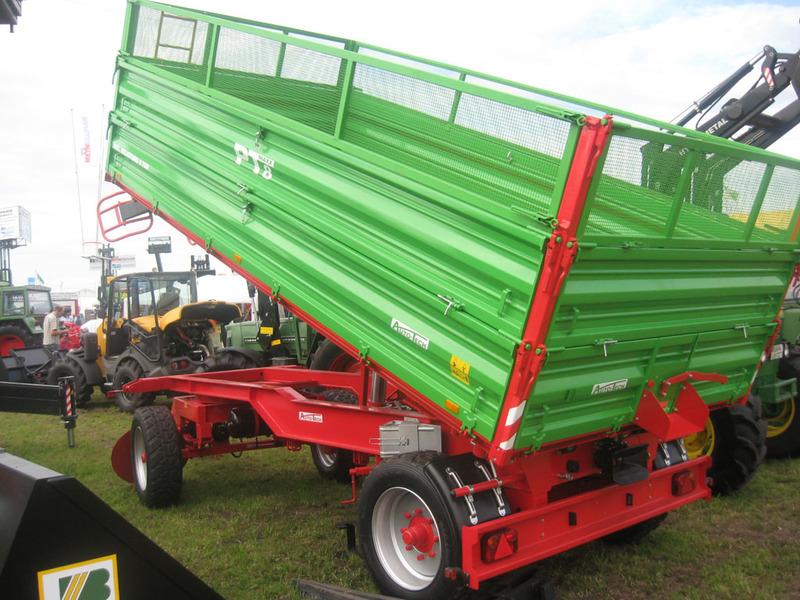 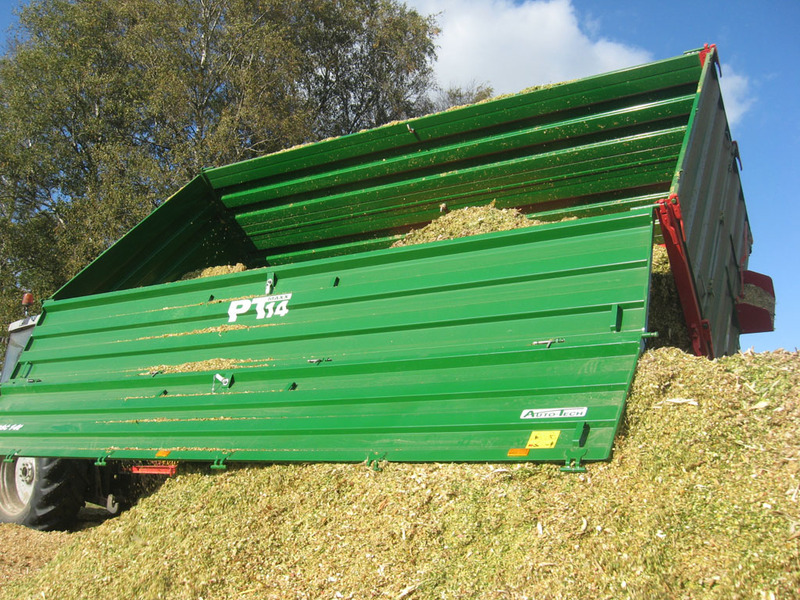 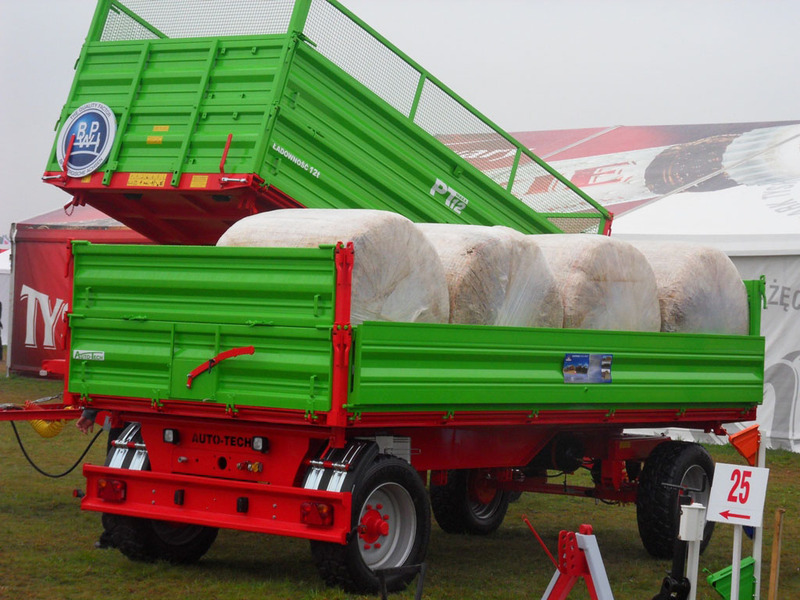 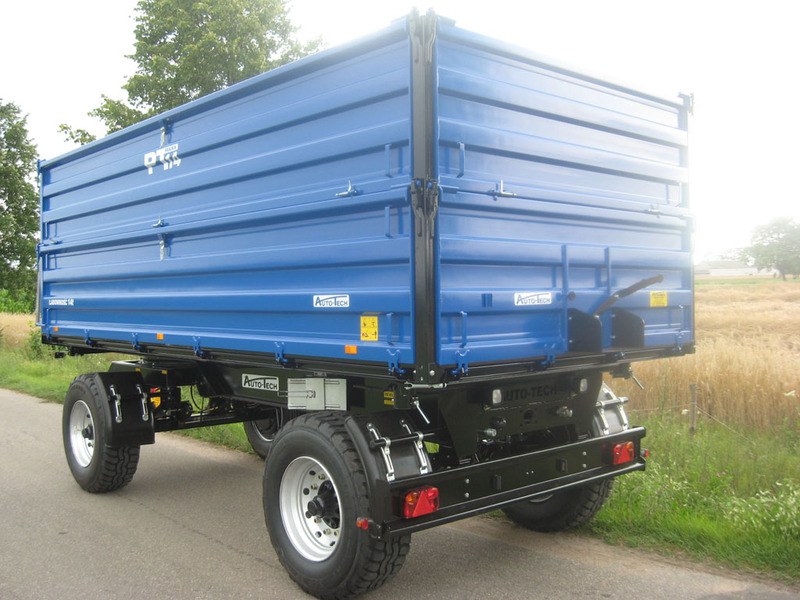 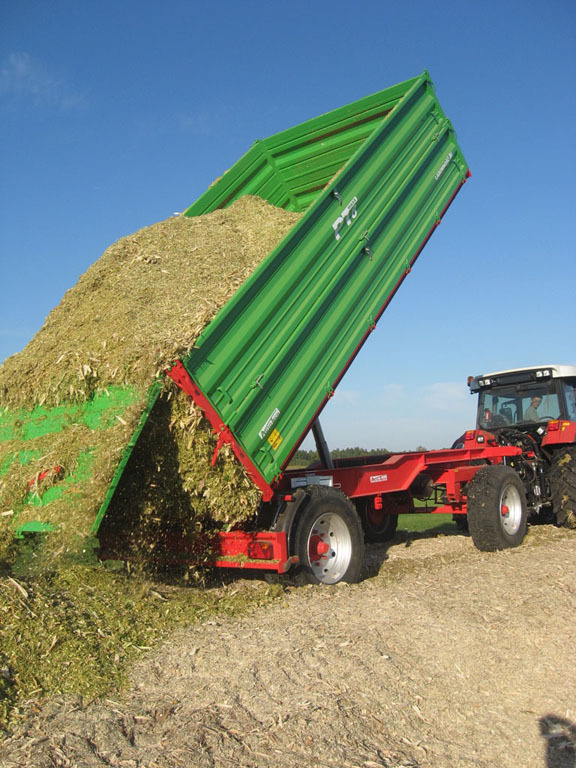 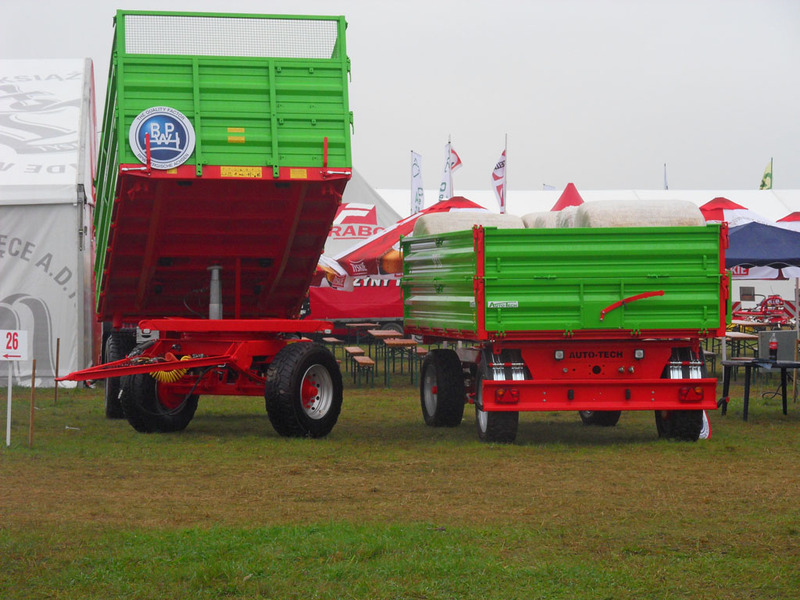 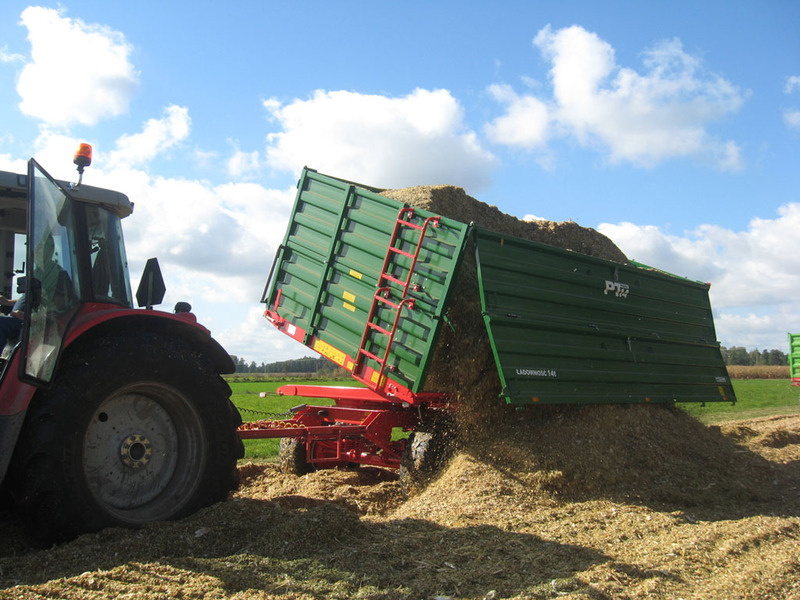 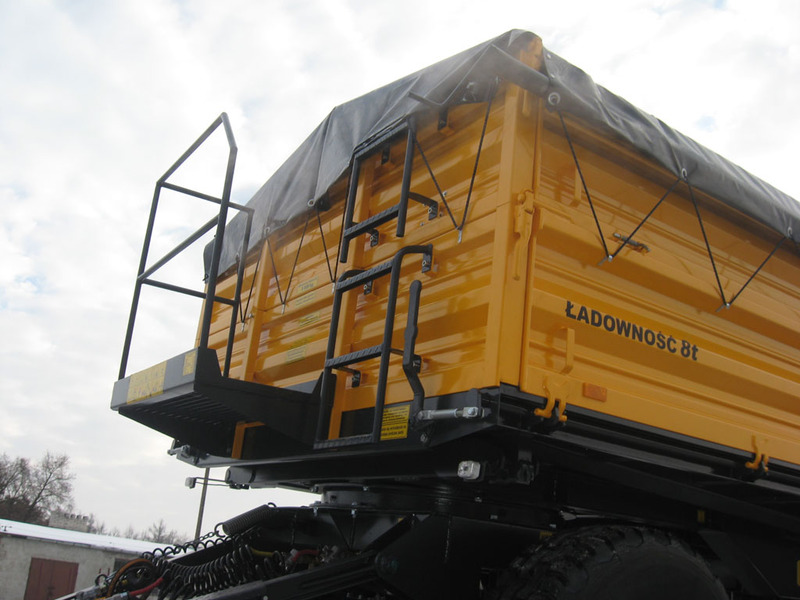 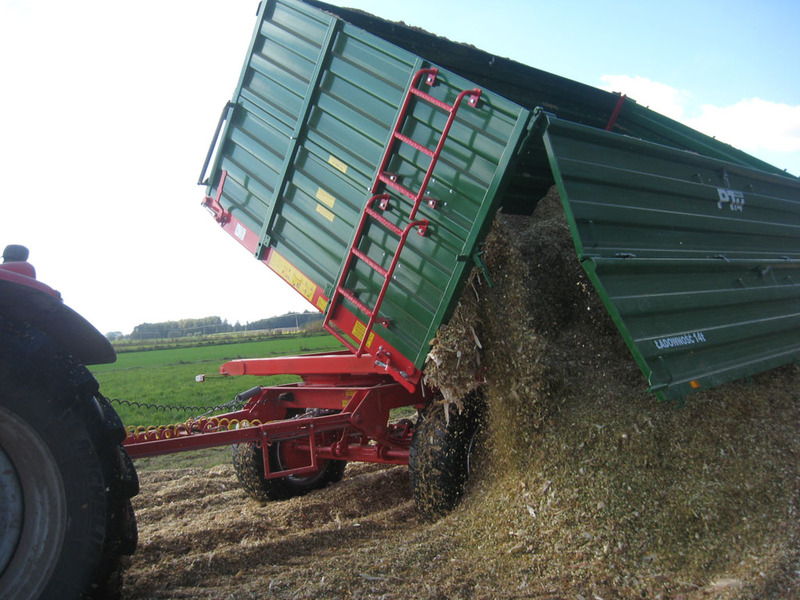 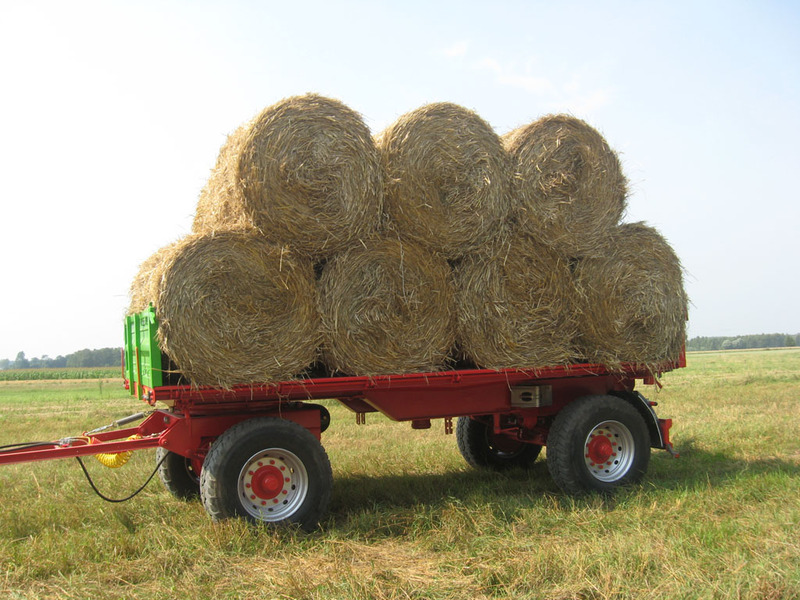 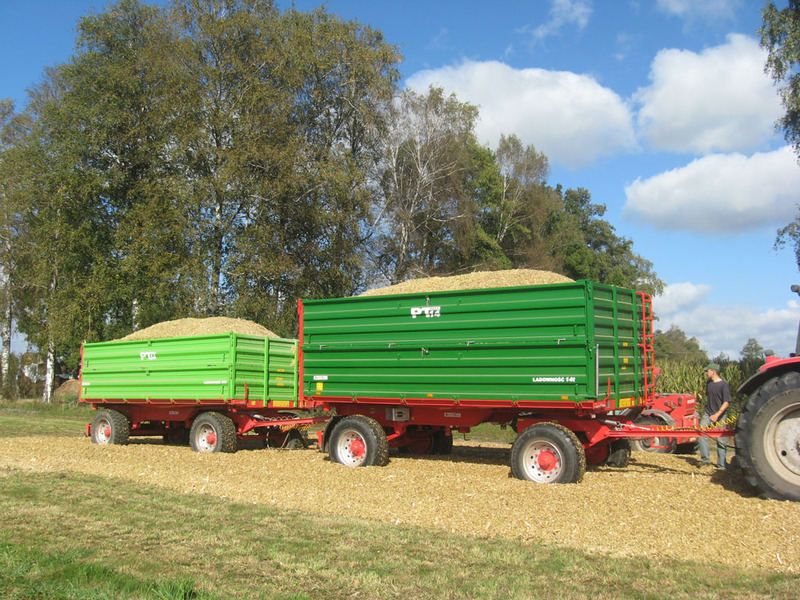 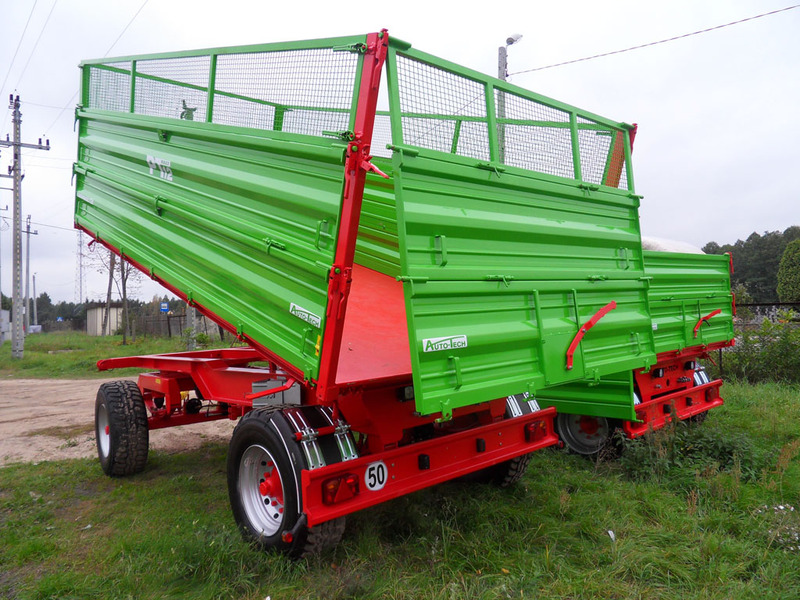 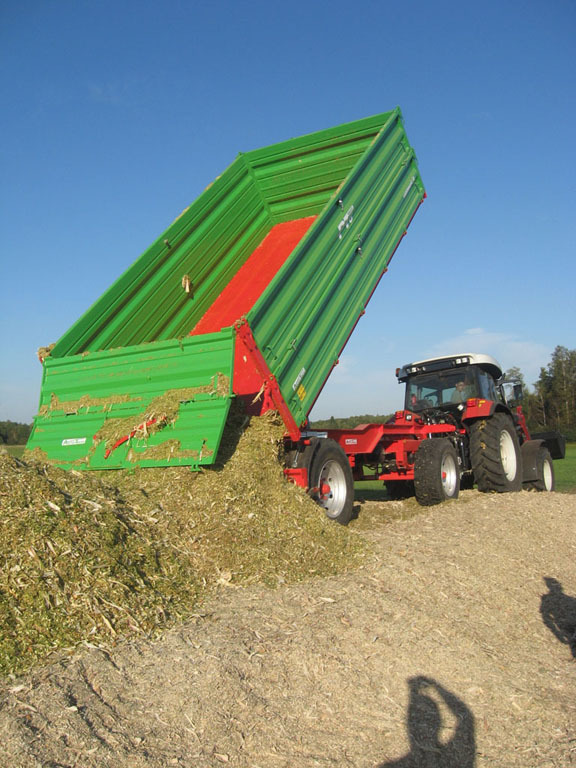 The length of trailers is 5, 20 m. It allows to transport of 4 bales in trailers length. 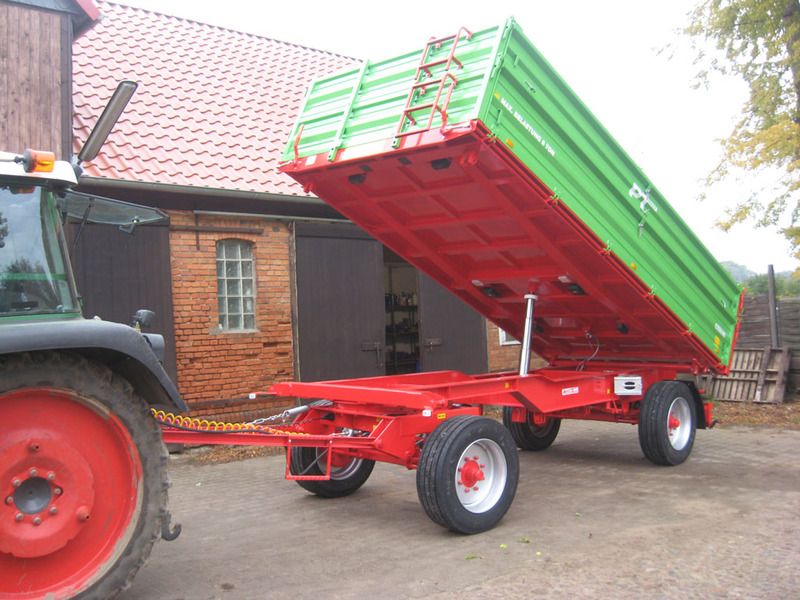 If we add extra frames, we can use transport surface. 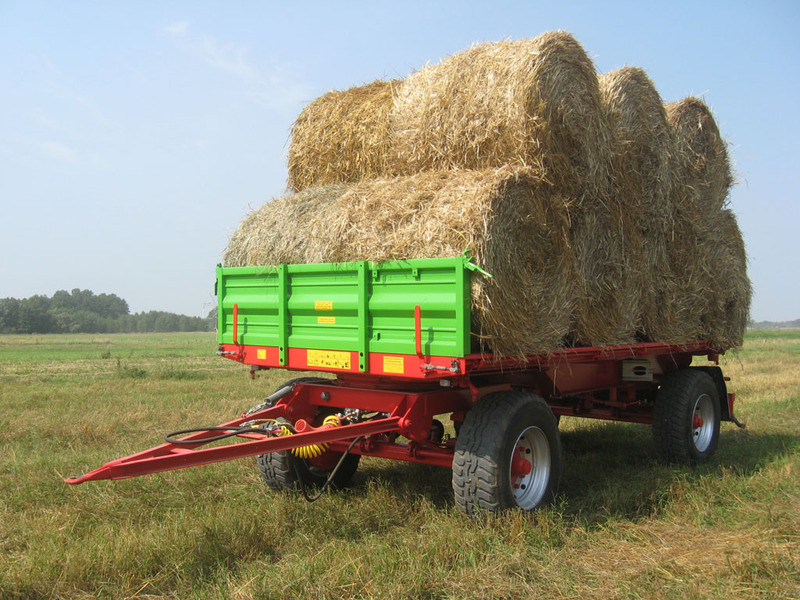 And we can convey 18 bales of diameter 120 cm. 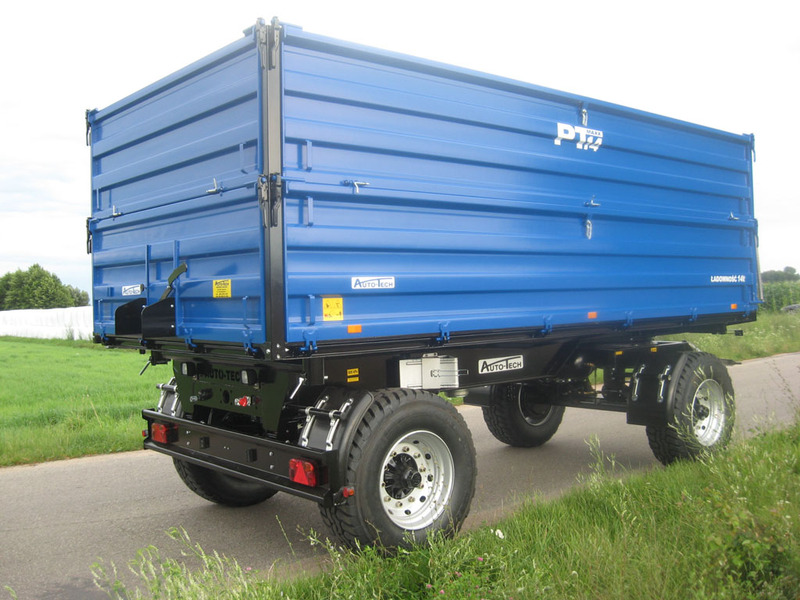 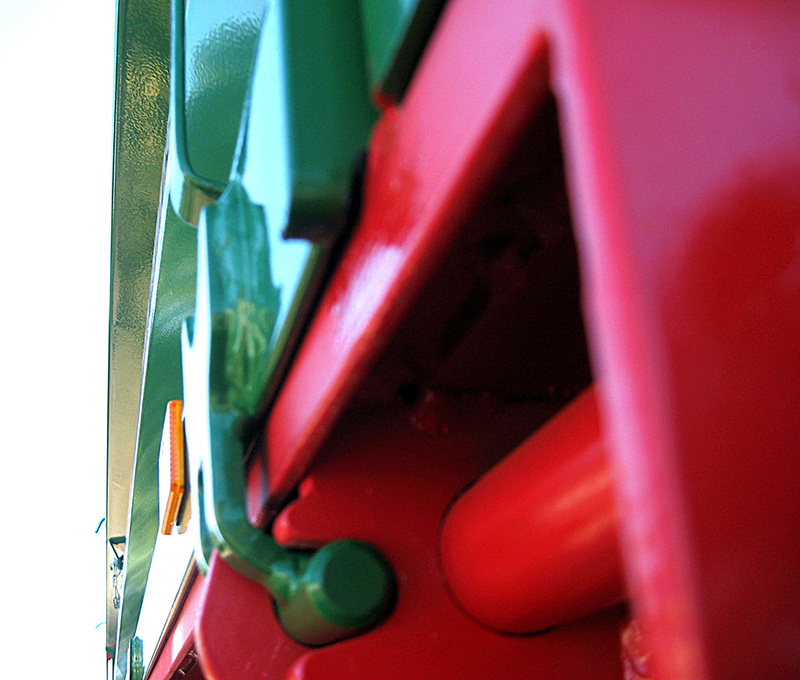 In PT MAXX side trailers we use metal-rubbery packing. 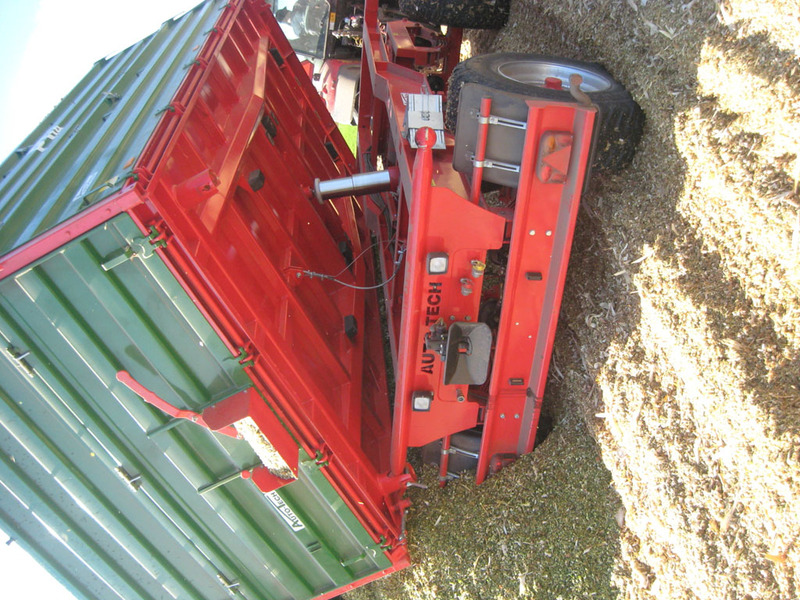 Side with floor is tightly jam out. 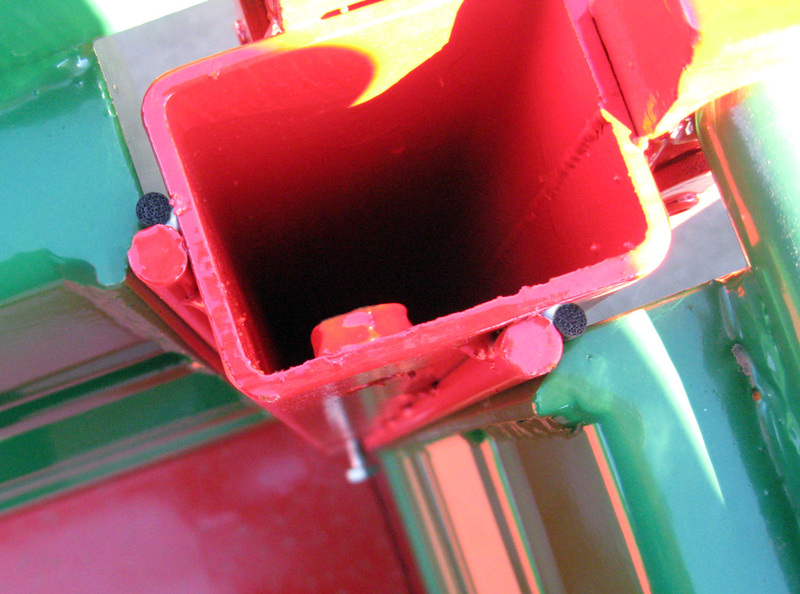 Additionally, we affix rubbery seal in sides edges. 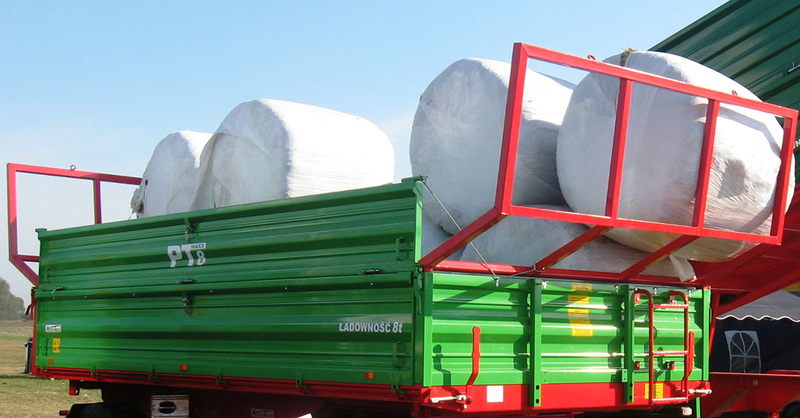 This seal is only additional protection (double sealing). 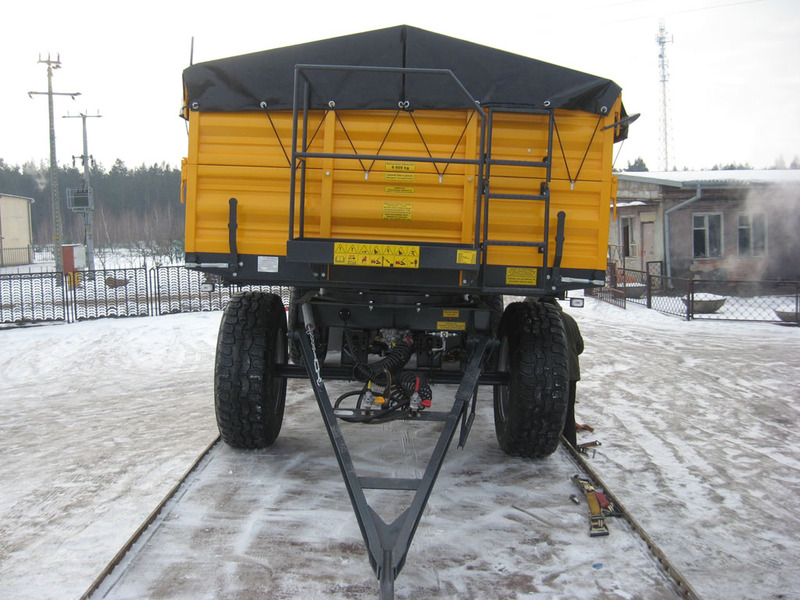 The trailer is hermetic, even if we do not have rubbery seal. 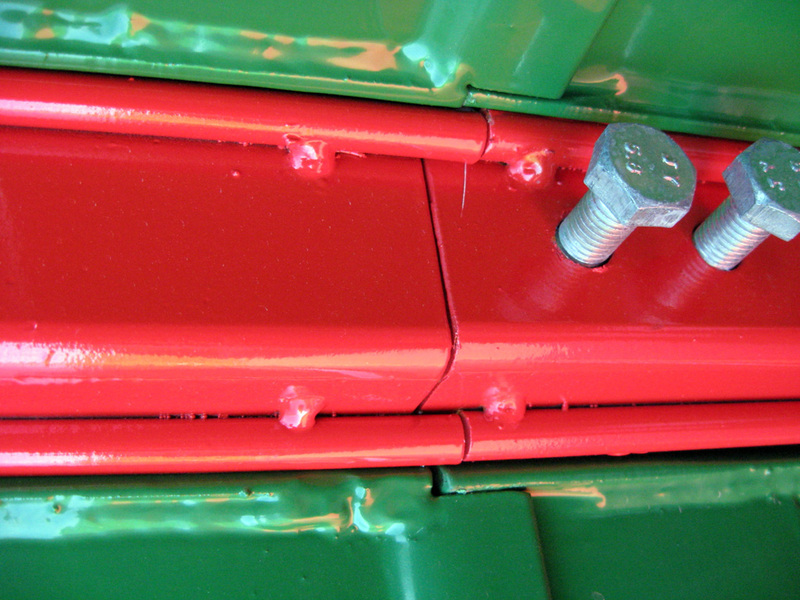 Side-bar sealing is also metal-rubbery. 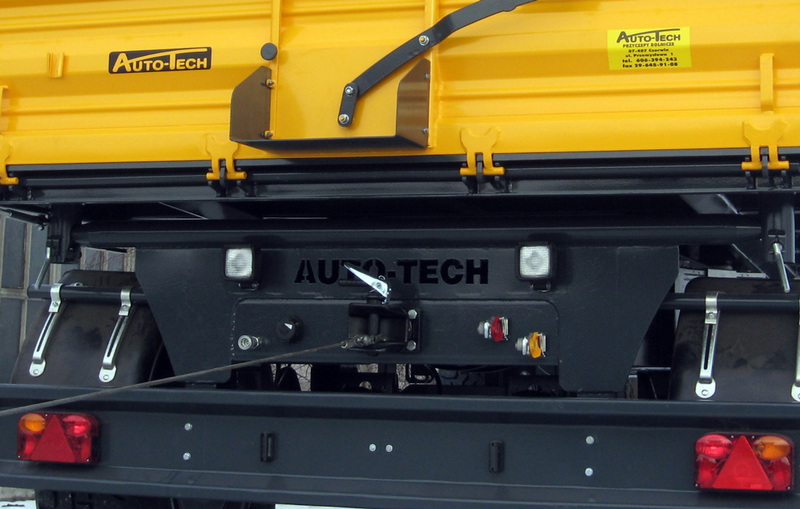 Additional working lights improves work comfort (height reversing and trailers flex).